There was joy when Alla Dzhioyeva was elected president of this independent republic that broke from Georgia after the 2008 war. But the result was overturned and she says she is a prisoner in her hospital bed. Dzhioyeva has been excluded from this weekend's elections. Five heavily armed men in uniforms pace up and down the narrow corridor outside the cardiology ward at the hospital in Tskhinval, the capital of South Ossetia, which declared its independence from Georgia after the 2008 Russia-Georgia war. Their mission it to prevent reporters and political and human rights activists from visiting Alla Dzhioyeva, the 62-year-old woman who insists she was elected president last November. Dzhioyeva has been receiving treatment since South Ossetian riot police raided her election headquarters Feb. 9, and roughed her up. She was assaulted and knocked unconscious, she said, on the eve of what was supposed to be her inauguration. But the presidential election was not recognized by the South Ossetian authorities. The Supreme Court invalidated the results of the November poll and scheduled a new vote for March 25. Dzhioyeva is not participating in the new election. In a phone interview, she said she has become “a hostage” of the political machination enveloping the region. Last November, Dzhioyeva, the former minister of education, received an official piece of paper issued by the election commission that recorded her election victory--by 16 percent. For a few days, the republic, or at least Dzhioyeva’s supporters, celebrated their victory. The joy of victory did not last long: the republic’s Supreme Court cancelled the election results “under pressure from the still influential and Moscow-backed former president, Eduard Kokoity, and his clan,” according to Igor Bunin, the director of the Center for Political Technologies in Moscow. Until recently, the small mountain enclave of South Ossetia, with a population of about 30,000 people, seemed indifferent to international opinion. 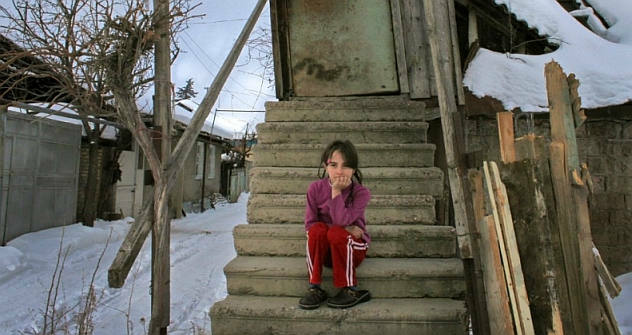 What really mattered to people exhausted by poverty, unrest and almost two decades as an isolated, breakaway region of Georgia, was that Russia recognized the country as an independent state, and promised to underwrite its development. After the week-long war with Georgia, Russia promised South Ossetia millions of dollars to rebuild, and security guarantees against any future Georgian intervention. In the center of Tskhinvali, there is still “Thank you, Russia!” graffiti on the walls of ruined buildings. The Presidential election was supposed to be a milestone event in the building of the new state, and thousands embraced the electoral process “People sincerely hoped to have a say in choosing their own president, and were actively involved,” said Varvara Pakhomenko, an analyst with the International Crisis Group. And the population’s disillusionment is of a piece with their disappointment over the pace of reconstruction. Three years have passed since the end of the war yet few improvements are visible in the still-scarred city. Several destroyed city blocks look much as they did in the immediate aftermath of Georgian missile strikes, and are constant reminder of the trauma of the war and the failure to rebuild. In a city where many residents have no access to central heating or hot water, winters feel endless. There is no movie theater or mall. Just unpaved roads flooded by melting snow. All of which leads people here to wonder just where the $840 million in assistance already transferred from Moscow has ended up. “That was Moscow and Kokoity who ordered to beating and arrest of Dzhioyeva,” said Melchik Agoyeva, a retired kindergarten teacher. Melchik has never seen the one-time $100 compensation the state promised for her bombed house. Her son, Oleg, a military officer, complains that he has not been paid the $30 monthly supplement for injured war veterans. At Dzhioyeva’s house and former campaign headquarters, the furniture is still turned upside down and the carpets are covered in broken glass from the police raid. Portraits of Vladimir Putin and Dmitry Medvedev still hang on the walls. Her supporters secretly sneak into the offices to discuss the political situation in the republic, and Alla’s detention. An aide, Fatima Margiyeva, dark rings around her eyes after many sleepless nights, said some supporters have begun to flee South Ossetia. “We are all feeling like hostages,” said Margiyeva.